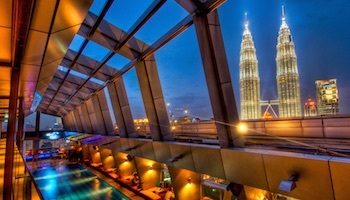 Malaysia isn’t necessarily known for its beaches, often falling by the wayside due to the beautiful beaches of nearby Thailand and Indonesia, so it’s not a traditional go-to beach destination. 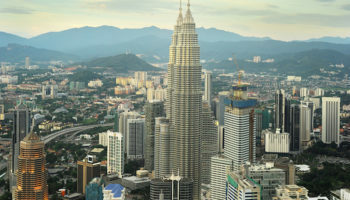 But since it boasts the same beautiful seas as Thailand on both its east and west coasts, Malaysia definitely has a number of star coastlines that are easily on-par with neighboring countries. 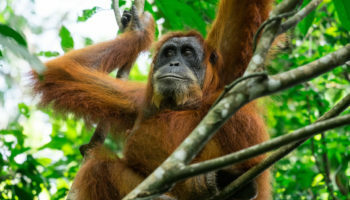 From stunning tropical islands complete with coral and white sands, to the long, languorous beaches of the mainland – as well as incredible locations in far-flung Malaysian Borneo, this Southeast Asian country sure packs a punch when it comes to the confluence of sand and sea. 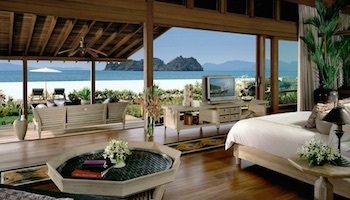 So let’s take a look at some of the best beaches in Malaysia, shall we? A stunning, turquoise jewel in the deep Celebes Sea off eastern Sabah on Malaysian Borneo, Sipadan Island is a beautiful destinations, both above sea level and underwater. Boasting an impossibly picturesque tropical reef lagoon, the island is a well-known dive spot that sees visitors flocking to it for its flourishing marine life. In fact, it has been voted ‘Top Dive Destination In The World’ on Scuba Diving Magazine’s Gold List, and for good reason: loggerhead turtles, manta rays, hammerhead and whale sharks are frequent visitors of this almost fabled location. Even renowned undersea explorer Jacques Cousteau called it ‘an untouched piece of art’ back in 1989, and thankfully – for both marine conservationists and amateur divers – not much has changed since then. Though there are beautiful beaches here, to not dive in Sipadan’s waters would be verging on foolish. 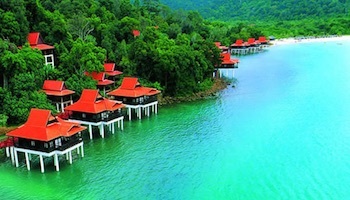 One of the main attractions of Perak – a state on Malaysia’s west coast – is the beautiful Pangkor Island. Littered with historical sites that run the gamut from a centuries-old Dutch fort to evidence of previous Chinese settlers in the Fu Lin Kong Taoist temple, it’s a well-trodden tourist destination in the area. 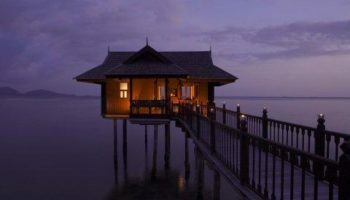 However it’s not just the cultural heritage of this storied little island – which saw one of the first treaties that led to British rule of Malaysia – that brings visitors to its shores. 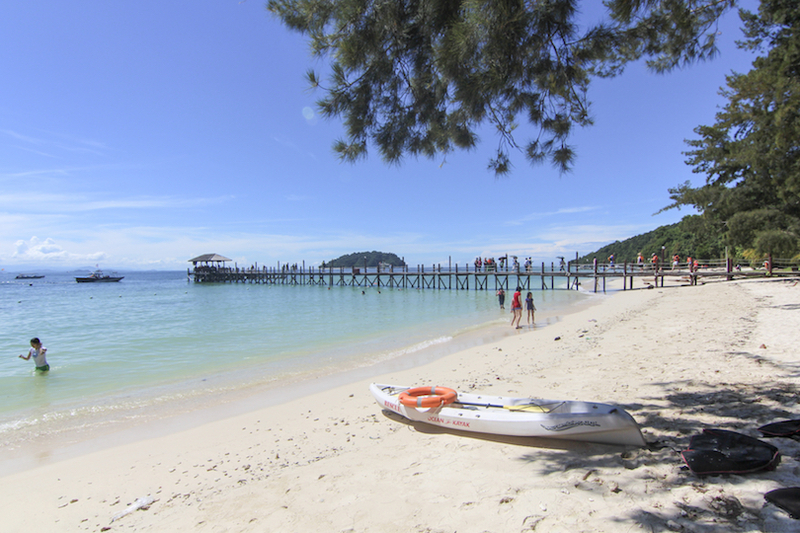 Pangkor is known for its beautiful beaches, the best of these is the stunning Coral Beach. With a very much deserted island feeling, the white sand sweeps against the turquoise-blue sea in a picturesque curve, whilst tall palms lean over the bright sand in what is practically a postcard of paradise. Another fantastic tropical island located just off the east coast of Sabah in Malaysian Borneo, Mataking Island is something of a bonus when it comes to a beach destination – it’s connected to another, much smaller island called Pulau Mataking Kecil via a sandbar, meaning that most of this beautiful island is basically a collection of beach, beach and more beach. The whole island is ringed by white sand, meaning there’s never going to be any lack of space for you. In fact, you probably won’t know where to sit – there’s so much opportunity to simply take a while to stare out at the perfect coral sea surrounding Mataking. This eastern island is also known for its amazing diving opportunities – aside from being the location of Malaysia’s first ‘underwater post box’, the marine life here is wonderfully diverse and beautifully vibrant. The Perhentian islands off the northeastern coast of mainland Malaysia are already renowned for their beauty, and are probably the country’s most famous destination for a tropical island getaway. The smaller of the two main islands, Perhentian Kecil caters more towards backpackers, whilst neighboring Perhentian Besar is full of expensive resorts. Perhantian Kecil features a number of beautiful beaches, but none quite as good as the huge and aptly named Long Beach. The sand at Long Beach is fine, white sand, and, since the tide stays out here for quite a while, the water stays very shallow for a period, making for ideal swimming conditions in the warm waters. Snorkeling, splashing around in the water and catching some rays are the order of the day at this exquisite beach. This relatively large tropical island is located off the east coast of the Malaysian state of Pahang. Whilst this densely forested, sparsely populated island also comes complete with several lovely beaches – helping it to earn the title of one of the world’s most beautiful islands according to TIME Magazine in the 1970’s – one beach stands out amongst the rest – Juara. Yes, the incredible Juara Beach is a true jewel in the crown of Malaysia’s best beaches, helped by its relatively remote location – ferries do not land at the beach, it is only reachable via 4WD on a paved road that cuts through Tioman’s central mountain range. Whilst the beach is unreal, it’s also known for the conservation of sea turtles, with the Juara Turtle Project managing a hatchery here. 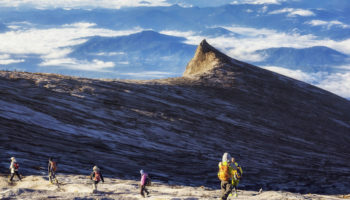 Yet another island located in Sabah – this time off the state’s west coast – Manukan Island is very popular with residents from the nearby state capital of Kota Kinabalu. It lies within the boundaries of Tunku Abdul Rahman National Park, the first marine national park in Malaysia – dating back to 1974. 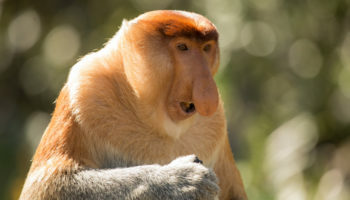 Because of this, the tiny island is famous for the amazing scuba diving and snorkeling opportunities just off its coast. Of course, it is just as well known for stunning beaches; the perfect meeting-point between azure sea and pure white sand in a slice of coral paradise. Away from the coastline, however, there are ample opportunities to explore the island’s dense vegetation, thanks to a number of hiking trails that crisscross through it. Kapas Island is another one of Malaysia’s picture-perfect paradise islands, with beaches here that look exactly like those you’d see on a postcard of yesteryear. Nowadays, it more resembles the beaches on your Instagram feed; palms nod over fine, white sand, lapped by clear seas which lead out into a beautiful turquoise-blue vista. Just off the coast from the town of Marang in Terengganu, Kapas really is one of Malaysia’s most beautiful islands. It’s a paradise for snorkeling and diving, with a wide array of marine life – the coral here is bright and vivid – always an incredible sight. As well as the great beaches, this tropical island in the South China Sea is also known as the main location for researching Amphidromus, an enigmatic species of snail with colorful shells. 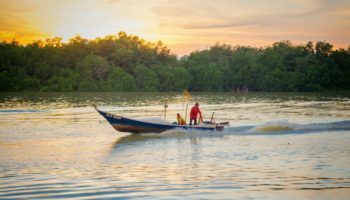 Set off the northeast coast of mainland Malaysia’s most southerly state of Johor, and easily reached from the coastal town of Mersing, the island of Rawa is truly a gem of a beach destination. Named for the white doves (known locally as rawa) that populate the island in great numbers, this tiny little island is a haven for wildlife – both marine and land dwelling. Since there are no proper roads on the island, only footpaths can take you from one destination to the other. With tall, craggy cliffs on one side of the island, the other side is almost entirely comprised of white-sand beaches that meet the beautiful azure sea in a perfect harmony of what paradise ought to look like. 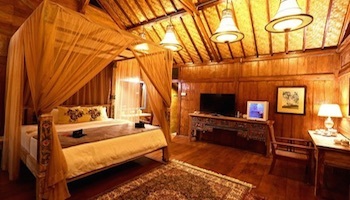 Malaysia’s premier island destination, Langkawi has it all when it comes to the elements that make up the best beaches – facilities, nearby accommodation, restaurants. So it’s no wonder that its best beach is a composite of all these things. Pantai Cenang, whilst popular with domestic and international tourists, will practically be yours as a private beach ‘out of season’ since, if you’re backpacking, there is no ‘out of season’! Smaller islets jut out of the turquoise sea that laps the huge white-sand beach at Pantai Cenang, whilst there are plenty of options for food and drink literally steps away from the beach. The nearby amenities plus the relatively calm waters make it a very family-friendly beach, too. One of the largest islands off mainland Malaysia, Redang Island is located in the seas off the northeastern state of Terrenganu, and is famous for its incredibly white sand and shimmering, crystal-clear water. 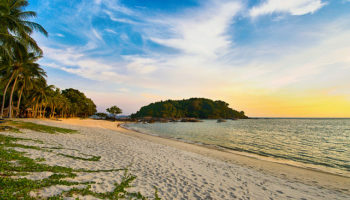 It is well known as a tropical island getaway thanks to this reputation for coastal beauty, which of course includes a fair few beaches – but none of these are quite as beautiful as Pasir Panjang. This sloping stretch of soft sand that sweeps around a circular bay in a sharp curve is a popular place that sees many local and international tourists – on day trips or staying at one of the now numerous beachside hotels. There is a bonus here; part of the sand spills over a spit to form a smaller section of beach away from the main bay area.